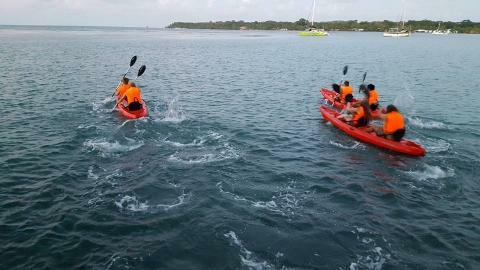 Explore the islands of Bocas del Toro up close and personal on a kayak. This is the ultimate Caribbean paddling adventure! Start off by leaving from Mamallena Hostel on Bocas del Toro’s main island of Isla Colón. We’ll paddle around Isla Carenero, watching the reef below this colorful island. Next we go across to Isla Solarte where you will be able to go snorkeling at two of the best sites in the area: Hospital Point and The Gardens! Tour takes approx. 3 hours. Includes water and fruits.